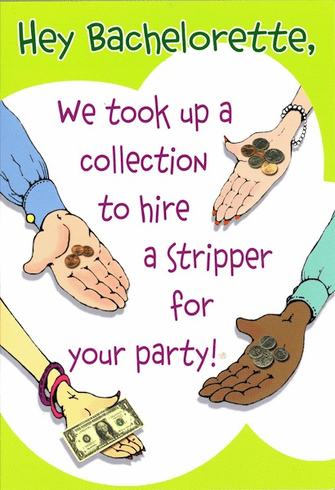 Outside: Hey Bachelorette, We took up a collection to hire a stripper for your party! Inside: But all we could raise was $1.98. Congratulations Bachlorette!